The 68-year-old musician proposed to girlfriend Nancy Shevell earlier this month with a $650,000 ring but the American heiress – who has been in a relationship with the singer for four years – insists they will not be having a lavish wedding. Nancy also revealed Paul’s “surprise” proposal took place in California and she was thrilled with the five carat ring he presented her with. She described the band, saying: "A vintage 1925 Cartier engagement solitaire diamond from Tate Galleries,"
Nancy – who said the nuptials will take place “soon” – admitted she would prefer to remain in New York, where she is vice president for her family’s transport conglomerate, but she will relocate to her fiance’s native England and make regular trips back to the US. She told the New York Post newspaper: "I'd love to live here but it's probably England. I still have a job here so I'll commute once a month." 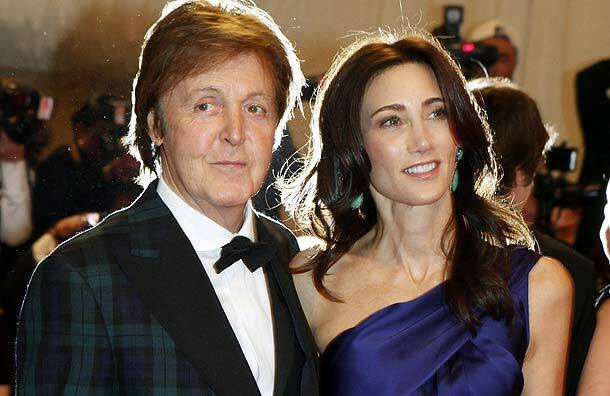 The wedding will be 'Yesterday' hitmaker Paul's third, after he was married to Linda McCartney from 1969 until her death from breast cancer in 1998 and then to former model Heather Mills from 2002. Although he didn't officially divorce Heather until 2008, they separated in 2006. Nancy has been married once before, to Bruce Blakeman. The 51-year-old businesswoman is also said to have been a big hit with the 'Drive my Car' singer's five children, Heather, 48, Mary, 41, Stella, 39, James, 33, and Beatrice, seven.